You’ve never seen an Axopar like this. So, the Brabus Shadow 800 by Axopar is exactly what you think it would be, a specialized Axopar of which only 20 will be made. 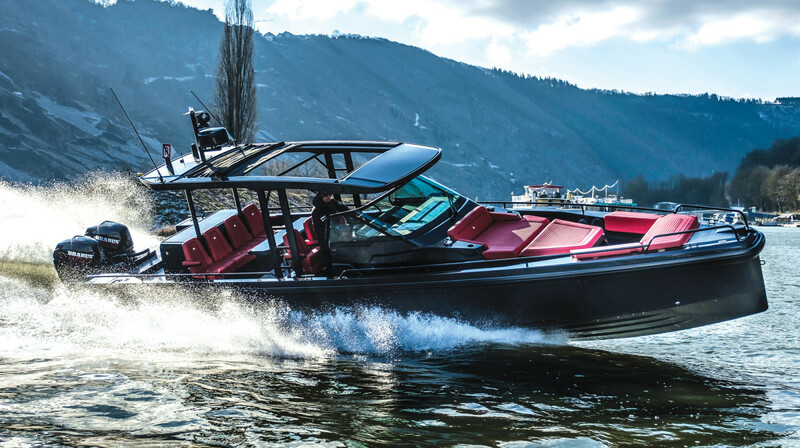 Built on the proven hull of the Finnish company’s 37 Sun Top, the boat is filled with design and engineering touches crafted by Brabus. 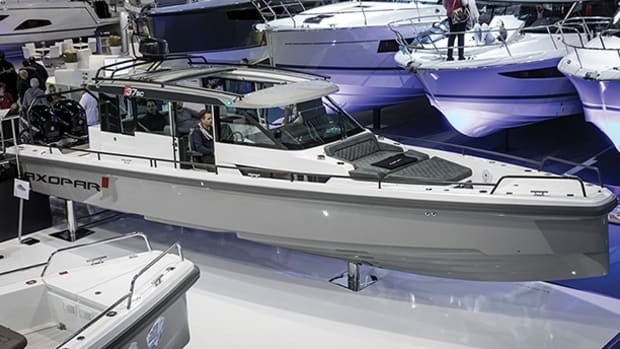 As the curtain was yanked off the angular new Axopar to the sound of reverberating applause in the convention hall of the Düsseldorf boat show, it was immediately clear that this was one, err, 20 of a kind. 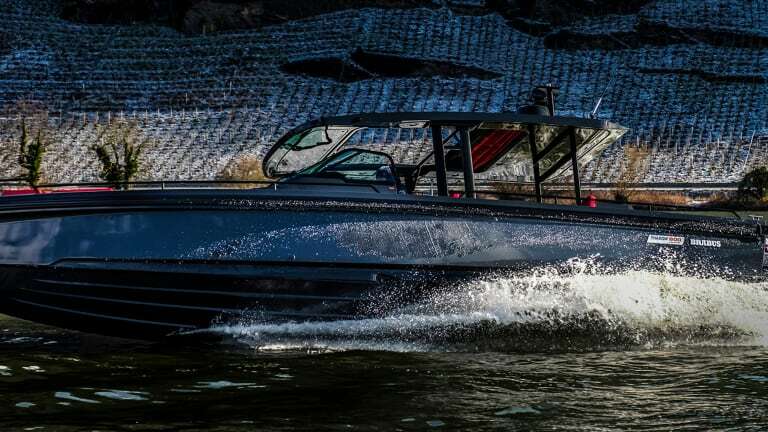 The black paint scheme, dark carbon fiber everywhere and rich red leather made it clear this boat was built to perform. 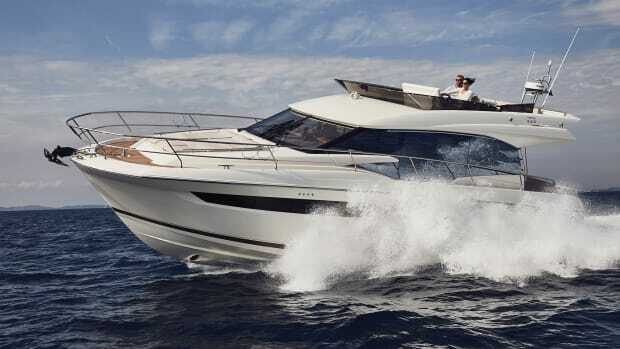 Viitala predicts that for many owners in the Balearics the 37 will be a second boat, to be used as a tender. 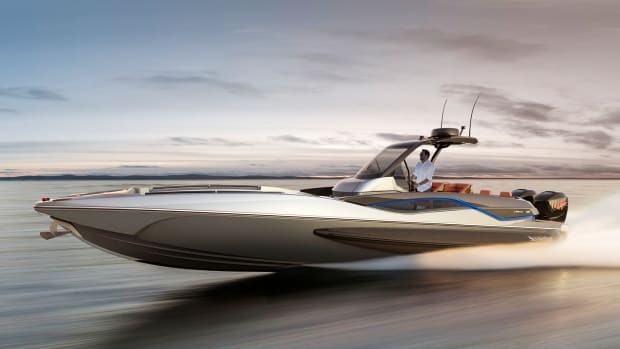 “It’s called a shadow because [for many] it’s going to be a chase boat that follows in the shadow of a superyacht,” he says. 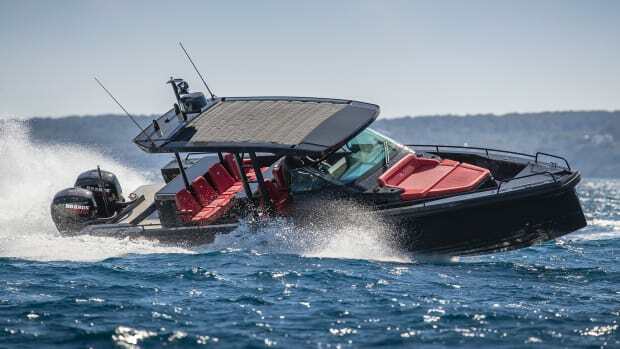 With a cruising speed of 40 knots and a top end over 50 knots, it’s likely to outrun any mothership, and with a low freeboard it will get you closer to the water than most boats in its category. 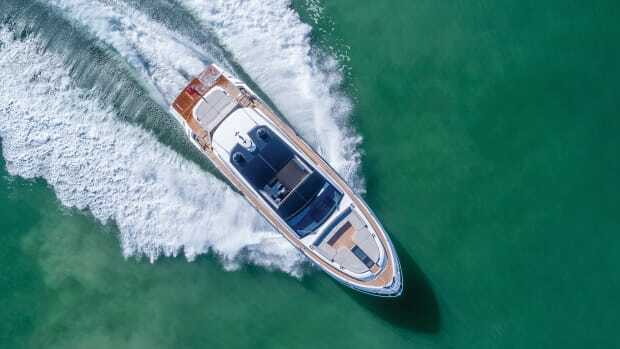 It’s equally adept as a day boat or weekend cruiser, complete with three separate social spaces (aft, amidships and in the bow). 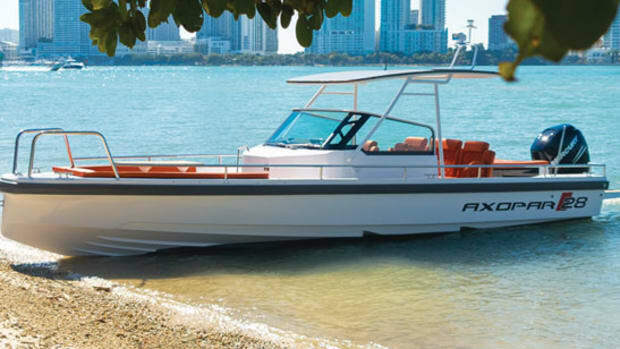 After standing at the helm and daydreaming about blasting from Florida to the Bahamas, I finally poked my head into what I was sure was going to be a tight cuddy of a forward cabin. The space was surprisingly large and unsurprisingly luxurious. 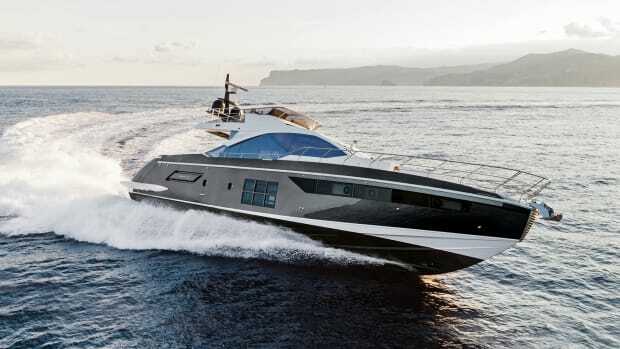 A sitting area, head, galley and double berth all ensconced in dark leather made the space welcoming. 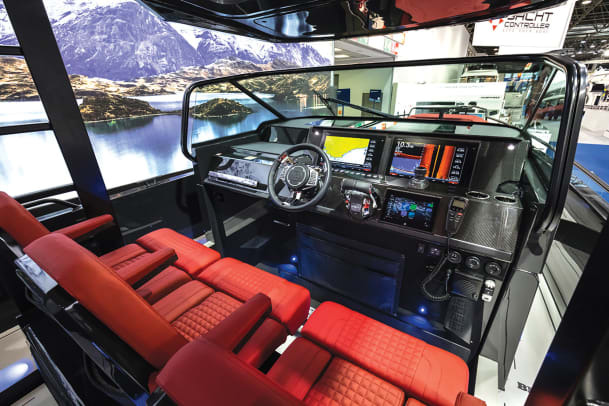 The 42-inch TV and custom lighting quickly turned the cabin from a sleeping space to a first-class cinema. Exclusiveness. That’s what Viitala wants this series to exude, and the 800 did as we stepped off to let the gathering crowd of gawkers climb aboard. 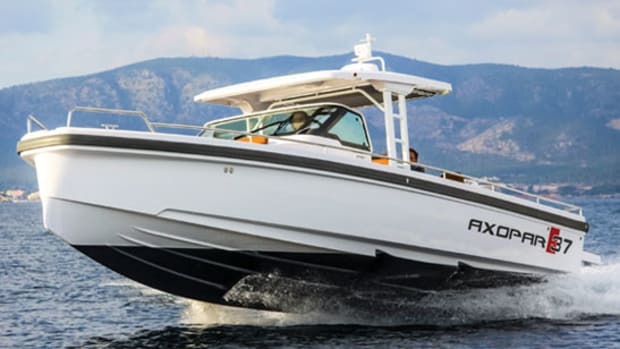 Despite this, the boat is priced competitively at $490,000. 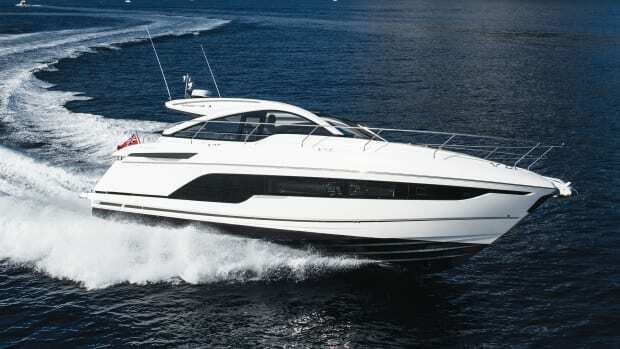 Because the 800 Shadow has the performance this brand is known for plus luxury custom features, I don’t think it will stay in the shadows for very long.